This will be an exciting year for Frank Squires Elementary! We are in transition to prepare all of us for our new K-6 Building scheduled to be open in fall of 2011. As we begin this year, I would like to introduce myself. 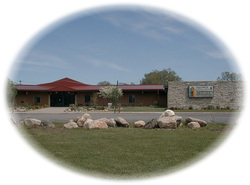 I have worked for Cassopolis Public Schools since 1990. I have taught preschool, third grade & fourth grade, and have served on several curriculum and extra curricular committees. Sam Adams Elementary School was my principal assignment before coming to Squires. My education includes; Bachelors of Science Degree, Masters of Reading Degree, Masters of Elementary Administration Degree, and I am a Licensed Reading Specialist for the State of Michigan. I also hold an active Professional Teaching Certificate and Professional Administration Certificate. My husband and I are very busy with three children. We participate in School of Choice and have been very pleased with our children’s academic and social progress in the community of Cassopolis. We live in the country near Marcellus and enjoy running the family campground during the summer months. Our family also loves to travel and camp throughout the United States.